In today’s world, it feels like most people ignore, or don’t care about the hardships of others. It doesn’t necessarily boil down to being callous; sometimes its the pace of modern day life that causes us to pick up a “me-first” type of mentality. If something doesn’t affect us personally, we just avoid facing it, and let it resolve organically. This is just a small sampling of excuses people make to justify their own apathy. My response to them is: that’s not how it works, sweetie. About 842 million people suffer from hunger worldwide. That’s like 12 percent of the whole world’s population. There are about 5.25 trillion pieces of plastic in our oceans. Much of this shows up in the seafood we consume, slowly poisoning us from the inside. And in 2016, around 917.7 million people were unemployed worldwide. More often than not, this doesn’t come down to laziness, but to unequal access to resources and opportunities. The truth is that we CAN do something about it. We all can. Especially people in developed countries. Just as how, a couple decades ago, one black man by the name of Martin Luther King led the civil rights movement in a country where he could not even vote, or use the same bathroom as the white people; we can change our worlds too. Dr. Martin Luther King Jr., recipient of the Nobel Peace Prize, and a relentless force for equality and basic human rights for all, would’ve turned 90 this January. However, despite the fact that he is no longer with us, we can still learn a lot from the actions of Dr. King. As this inspiring icon’s birthday is coming up, we need to remind ourselves of his legacy and purpose. 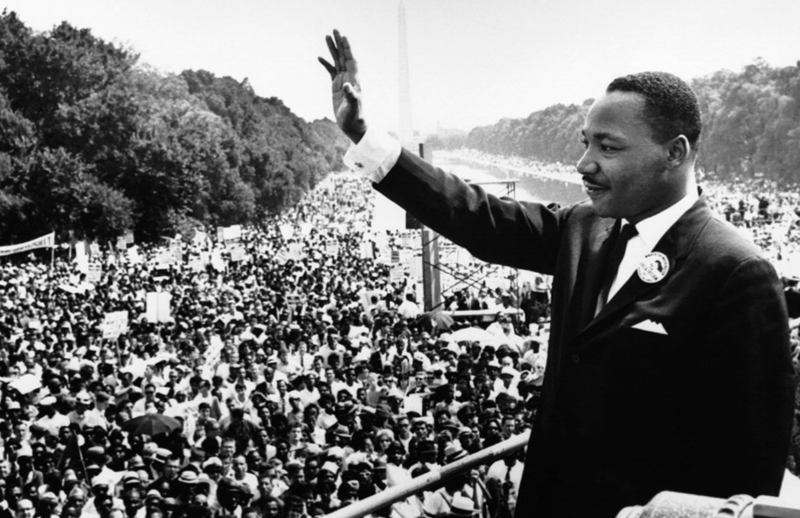 You’ve probably heard of his famous speech, “I Have a Dream.” His dream was true equality and justice for all; something that still doesn’t exist in America, and many other parts of the world. What set MLK apart from other social justice activists and historical icons was that he embraced the differences in people. He educated people, and united them to stand up for each other’s causes. And he did all that by maintaining peace, and avoiding violence. Dr. King was part of establishing the Southern Christian Leadership Conference (SCLC) in 1957, a movement that was based on the philosophy of non-violence. He lead the Montgomery Bus Boycott, and he spoke over 2500 times at public events, wrote five books, and many more articles to spread his message. So, when we say there is a serious problem going on worldwide, or in some part of the world, we shouldn’t just shrug our shoulders and move on. We need to care, learn, and help as much as possible. Just because it is not personally or directly affecting us yet, doesn’t mean it’s not there, or that we don’t need to help. It is when we come together that we can solve the most immense problems. If every community came together, and supported each other in their respective causes; if everyone took a minute out of their week to update themselves on what is going on beyond their own communities and how they can help; if we pressured the authorities and the one percent, just like how MLK did, then we would see progress. And the world would start to become a better place, worthy of the efforts of icons such as Dr. Martin Luther King Jr.